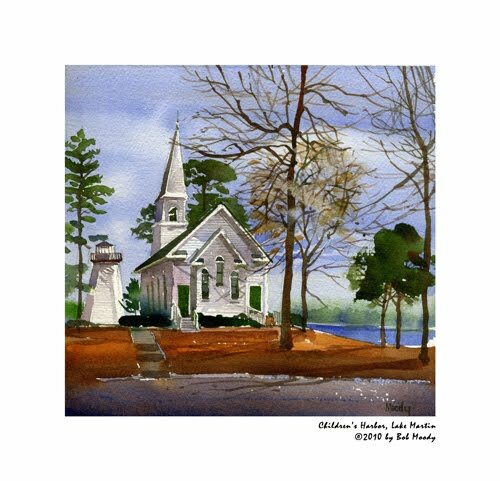 Current Show Saturday, May 29th 10AM to 4PM – Children’s Harbor, Alexander City. Event founded by Beverly McNeil, Event also includes Scavenger Hunt. Please click HERE for directions, and additional details. A new series will include 10″ x 10″ small watercolors similar to the one below. Moody’s two watercolor books will also be available for sale for a one-day-only discounted price. This entry was posted on Thursday, May 13th, 2010 at 1:15 am	and is filed under Exhibitions. You can follow any responses to this entry through the RSS 2.0 feed. You can leave a response, or trackback from your own site.